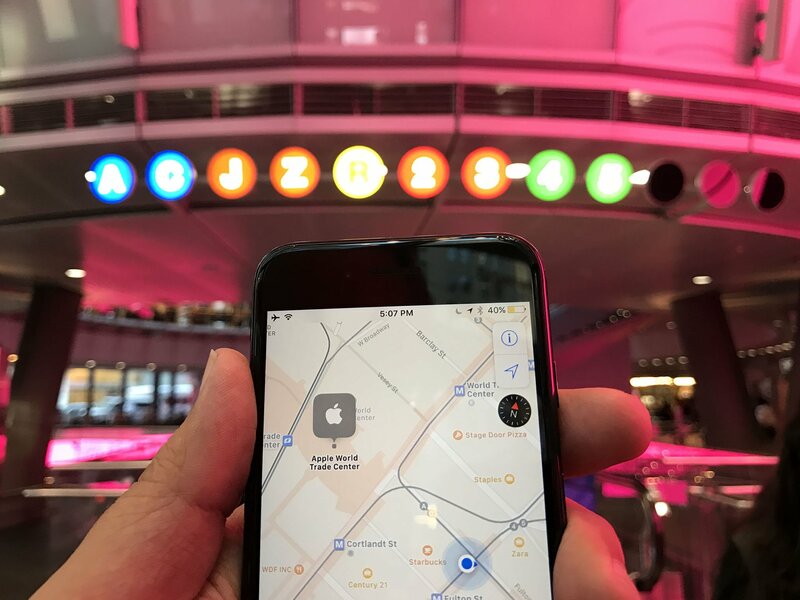 iOS 10 had Maps learning some new tricks, like extensions, and iOS 11 is by no means an overhaul, but it is bringing a couple neat new features to Apple Maps. Yup, just like Google rolled out quite some time ago, Apple is finally bringing indoor mapping to its Maps app. You'll be able to check out detailed maps of local landmarks, malls, airports, and more, with full layouts and different icons for differents types of businesses and bathrooms and whatnot. This'll be particularly helpful in airports, since you'll be able to see gates and terminals. We've all been there: there's the exit and we're 5 lanes over with no way to get over in the next 10 feet. Apple Maps is introducing lane guidance with iOS 11, so you'll know which lane you need to be in in order to make that turn or get on the off-ramp. Lane guidance even shows you how many lanes there are on a given roadway and will highlight the lane you need to be in. Perfect… So long as you're in the U.S. or China. Sorry, rest of the world. No more excuses for speeding because you didn't see the sign: if you live in the U.S. or U.K., Maps will tell you the speed limit of whatever road you happen to be on. You have to be using turn-by-turn directions for the feature to activate. If you have a basic idea of where you're headed or you're heading down roads you travel often, you can optionally enable "Light Guidance", which essentially cuts down on the directions you get. You'll just get a trip overview, as well as some alternative routes. Flyover in iOS 11 lets you "fly over" cities by tilting and moving your iPhone around, which makes it seem like you're actually in the city you're looking at. You can even rotate your phone 360 degrees to feel like you're right in the center of the action, and it'll even move forward as you walk in real life. Any questions about the new features in Maps? Let us know in the comments below!